The Observatory has closed down. The Current Information section is not relevant to this Observatory. Needing an observing site with a better climate than that available in Holland, an agreement was reached late in 1923 between Leiden and Union (Republic) Observatories, whereby the facilities of the two institutions were made available to each other. In search of light pollution free skies, Leiden moved to Hartebeespoort. In time light pollution caught up with this site as well and it was closed down. The Leiden Observers were concentrating on variable stars. By 1957 they had accumulated 12 000 photographic plates taken at the Union Observatory. With the growing light pollution problem in Johannesburg it was decided in 1954 to establish an outstation at Hartebeespoort. This became known as the Leiden Southern Station. The agreement was that the Hartebeespoort facility was operated by Leiden Observers, but it was an official out station of the Union (later Republic) Observatory, and as such came under Finsen’s jurisdiction even though it was virtually outonomous. Some of the Union observatory instruments were also moved to the site. By the time of the move to the Hartebeespoort the Flux Collector telescope arrived and was installed at Hartebeespoort. 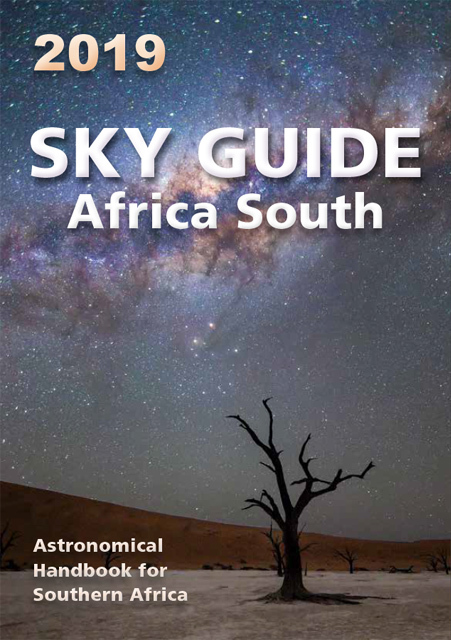 The flux collector was the first fully automated telescope (what we call today a Go To Telescope) in Southern Africa. Due to continuing light pollution problems this telescope was moved in1978 to La Silla in Chile. Willem van den Bos: He went to Johannesburg (from Leiden) to do double star work. van den Bos stayed and went on to become the Director of the Union Observatory. A Wessellink: (1946 – 1950) Superintendent of the station. 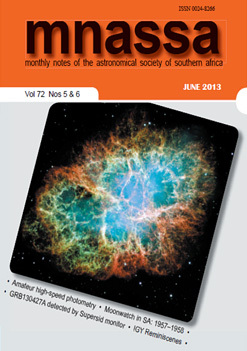 Hilton T., Presidential Address: Small Observatories and Unusual Telescopes of Gauteng, MNASSA, Vol. 56, Nos. 9 & 10, October 1997. Mitton, J., A Concise Dictionary of Astronomy, 1991, OUP. Van Herk, G., et. al., The Leiden Southern Station, MNASSA, Vol. 47, Nos. 3 & 4, 1988.